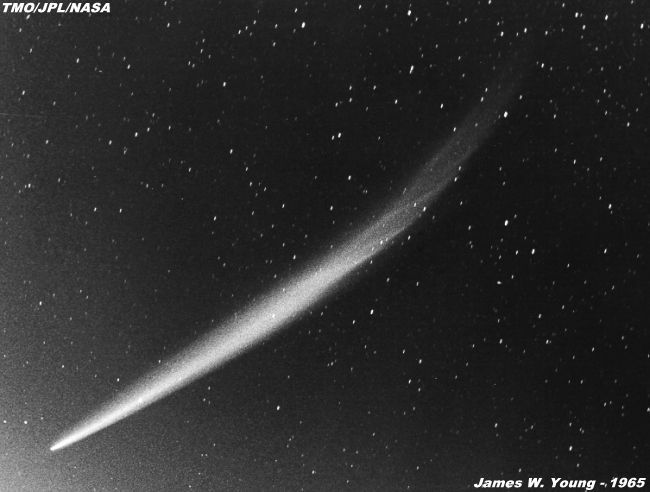 25, 1996, and shows much of the fine gas tail streamers, and extensive dust near the head of the comet. we would have seen the tail across the sky before the actual head of the comet rose above the horizon. 93 million miles from us. That was a famous sun-grazing comet observed here at Table Mountain as well. Click 'back' after looking at Comet Ikeya-Seki . The tail of Ikeya-Seki was about 30 degrees long.